I’ve always wanted to visit Portugal, but felt no particular rush to get there sooner rather than later. But when Summer invited me to join her for a week in Lisbon and the Algarve I couldn’t say no. And I can promise you Portugal should fly to the top of your list stat. It’s affordable, conveniently located, beautiful, cultural and diverse. The cities will make you fall in love while the beaches will make you want to stick around forever. After a six and a half hour flight I landed in Lisbon. Bright and early Friday morning. Since I’m traveling in the US after this week, I made sure to pack everything in a carry on. Bypassing the checked baggage carousel, I stopped at an ATM, grabbed some euros and headed out towards the tourist information stand to find the aerobus into town. It was all pretty simple! The Lisbon airport is close so the ride was short, and I quickly found myself in Restauradores where Lisbon Destination Hostel is located. I had a few minutes to drop off my bags and change before Summer and her sister Ivan arrived for our free walking tour. 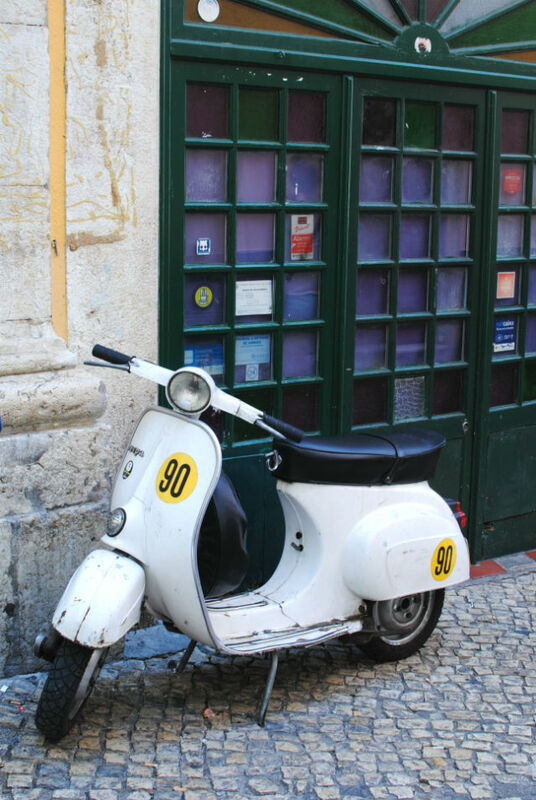 We wandered up to a viewpoint in Bairro Alto before working our way through one cobbled alley after another towards Chiado. 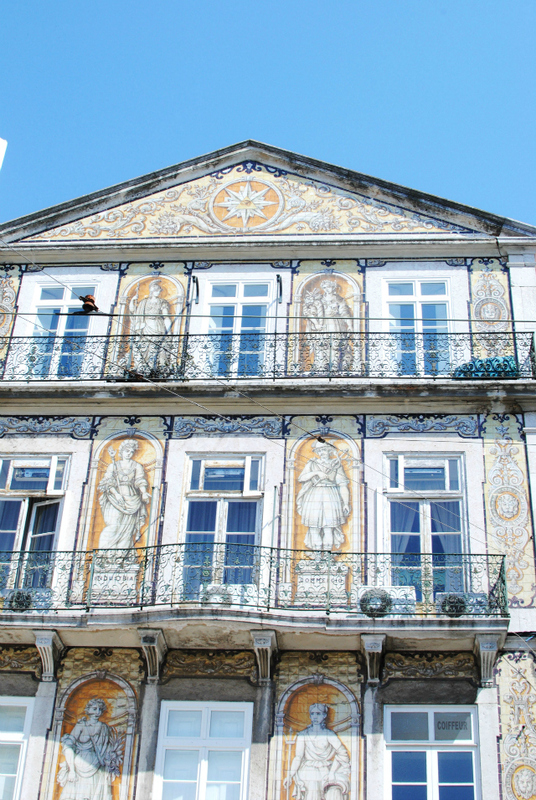 The most stunning views were of the buildings covered in intricate tile. 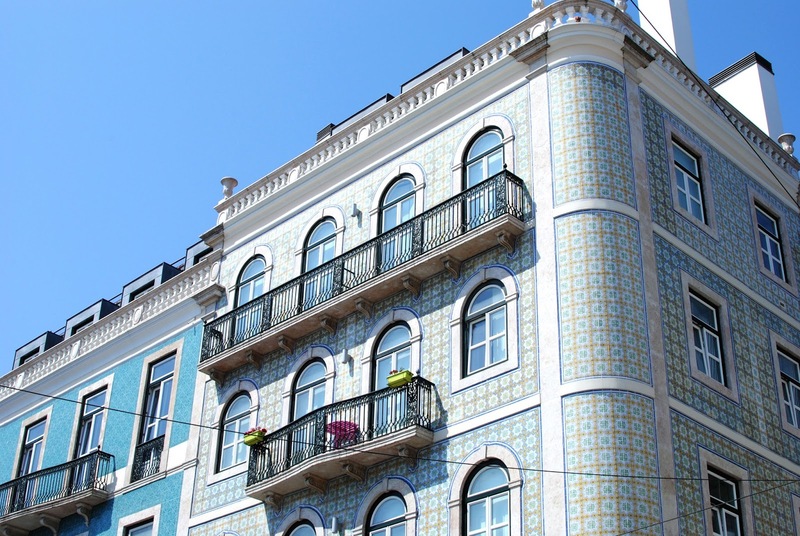 The residents of Lisbon are just as stylish as the tiled facades of the buildings. It’s hard to believe it’s been a year since I moved away from New Orleans, and while I’ve met Summer twice since then, we decided it was time for a full blown reunion. And what better place for that than Portugal. 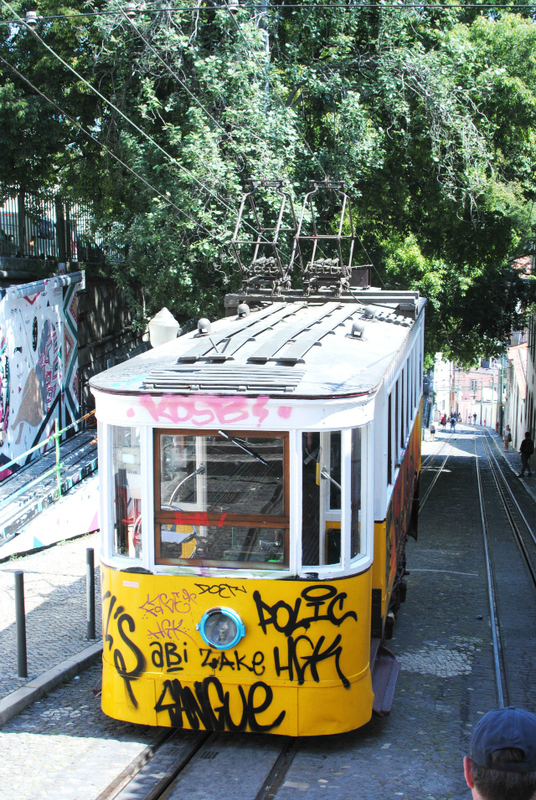 Lisbon is built on six hills, and can feel like a workout, but it is definitely walkable. 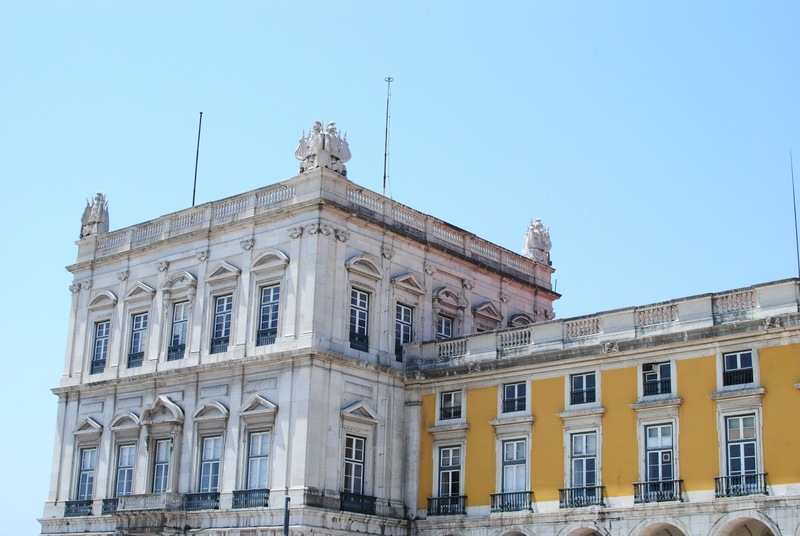 There are so many districts to explore but I definitely recommend starting with Bairro Alto, Chiado and Baixa to get your bearings of the downtown area. We finished our tour by the river and had an hour to grab lunch before joining our afternoon biking tour of Belem. Nearby we found a large market place with a variety of vendors selling a la carte items. 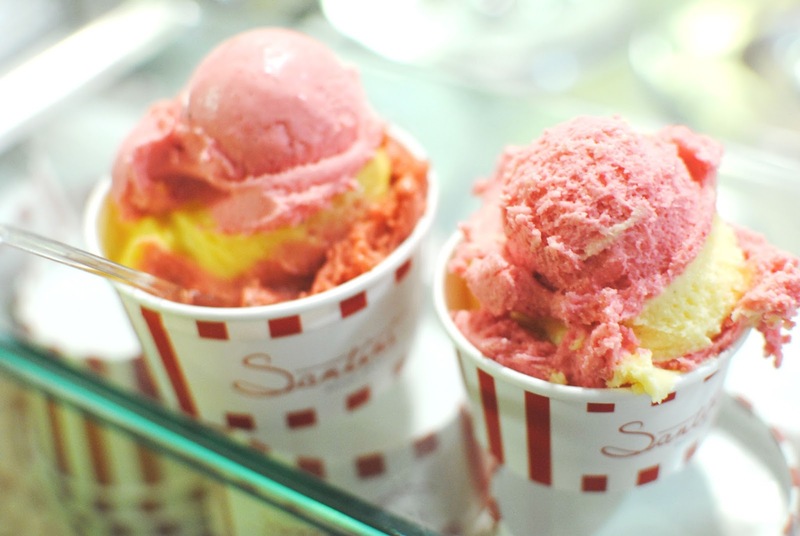 Perfect for sampling different foods. 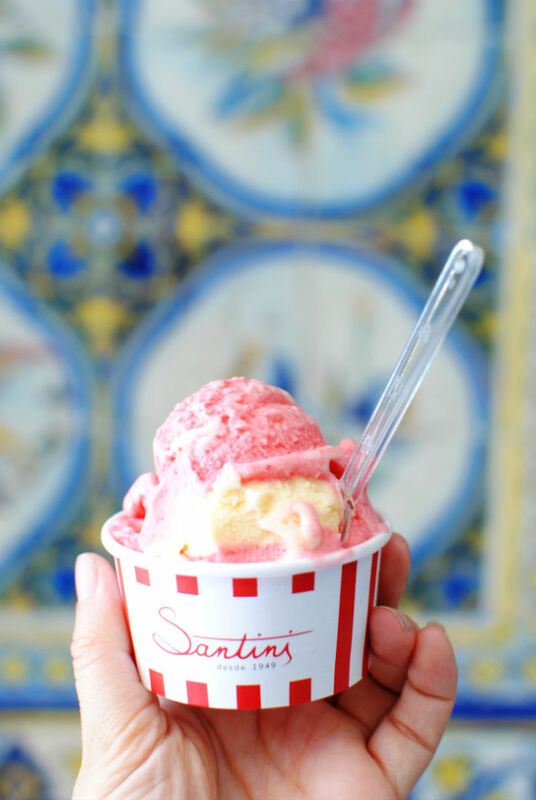 After lunch we grabbed Santini’s, the best gelato in Lisbon, started by two brothers who moved to Portugal from Italy. Just what we needed after walking in the sun all morning. After filling up on delicious raspberry and vanilla gelato we were off again for an afternoon bike tour complete with a tasting of the famous Pasteis de Belem. Come back tomorrow for more photos as I take you along the river to the monuments of Belem! 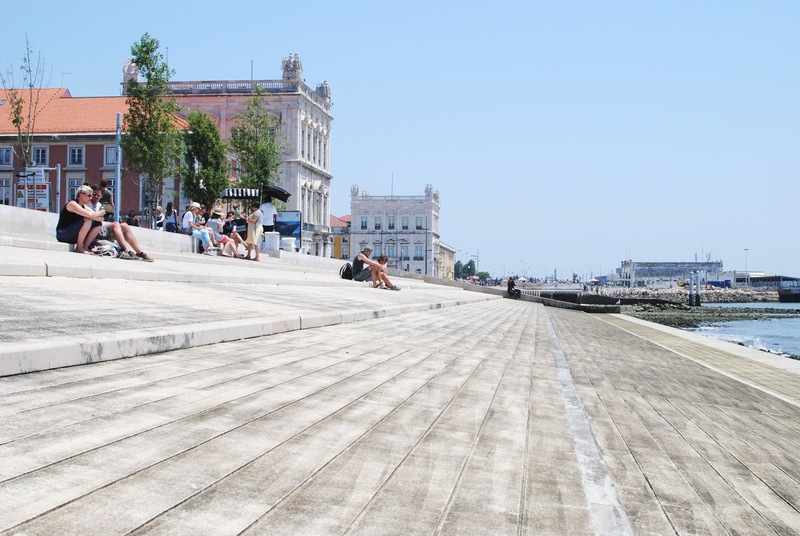 I highly recommend starting your visit to Lisbon with a walking tour and you can join one for free with Lisbon Destination Tours. They explore different neighborhoods each morning. 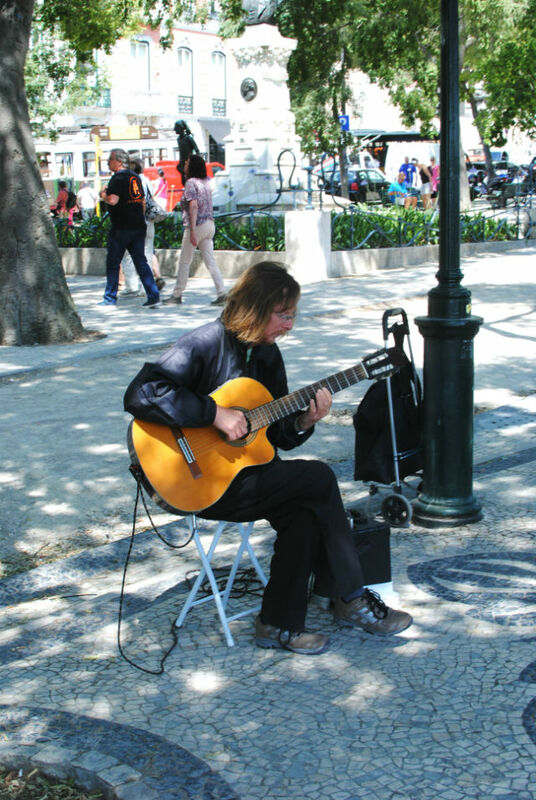 Planning your own trip to Portugal and looking for suggestions? 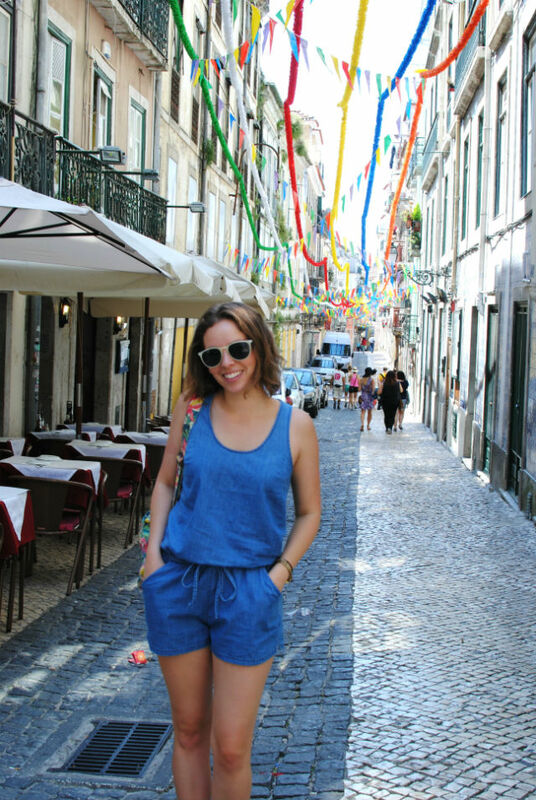 Check out my itinerary for one week in Portugal plus my tips for mapping out your vacation. Wondering why I’m in Portugal? Read this post here. And you can follow my adventures as they unfold on instagram.